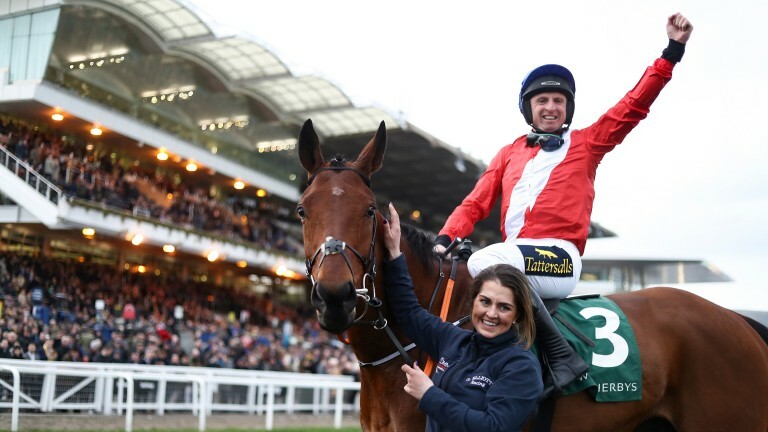 Top amateur Jamie Codd will ride Mala Beach for Gordon Elliott in the Randox Health Grand National on Saturday as the trainer revealed the chosen jockeys for all 13 of his intended runners, a record-breaking number for the race. Elliott had been pondering whether the ground would be suitable at Aintree for Mala Beach but has opted to let him take part in what will be Codd's second National ride. Codd, who had two winners at the Cheltenham Festival last month, rode the Elliott-trained Cause Of Causes to finish second in the race two years ago. Elliott said: "There was a doubt about Mala Beach running but we've decided to let him take his chance and Jamie is booked to ride him." Ireland's multiple champion amateur Patrick Mullins will also be on the Elliott team. He rides Don Poli, who will be his third ride in the race. Luke Dempsey and Andrew Ring will both be riding in the race for the first time. Dempsey partners Folsom Blue and Ring is booked for Blow By Blow. J J Slevin will renew his association with General Principle, on whom he won the BoyleSports Irish Grand National last year. If all 13 get to post, Elliott will have nearly a third of the 40 National runners on Saturday. Martin Pipe had ten in the race in 2001, the previous highest. Bless The Wings needs one horse to drop out to get into the top 40. Bless The Wings was originally allotted number 40 in error and his place is now occupied by Captain Redbeard, who is guaranteed a run.